Release date: November 15th, 2018. This release introduces some new dependencies and database changes. Make sure you follow the minor update documentation to roll out this new version. This release greatly simplifies the passbolt installation process. It ships with automated scripts for your favorite distributions (Debian 9, CentOS 7 and Ubuntu 18.04) that will perform the heavy lifting of the server configuration for you. These scripts will configure a vanilla operating system to be ready for a passbolt install. They take care of setting up the web server (Nginx), database (MariaDb), PHP, SSL and yes, for real, also the GPG keyring configuration. 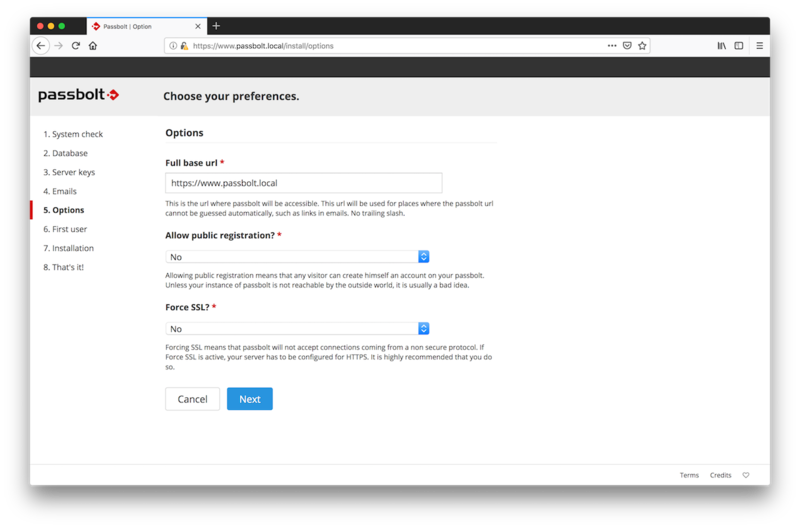 In addition to the install scripts, passbolt can now be configured in a few clicks thanks to the presence of a web installer. Overall, the new installation process takes no more than 10 minutes! 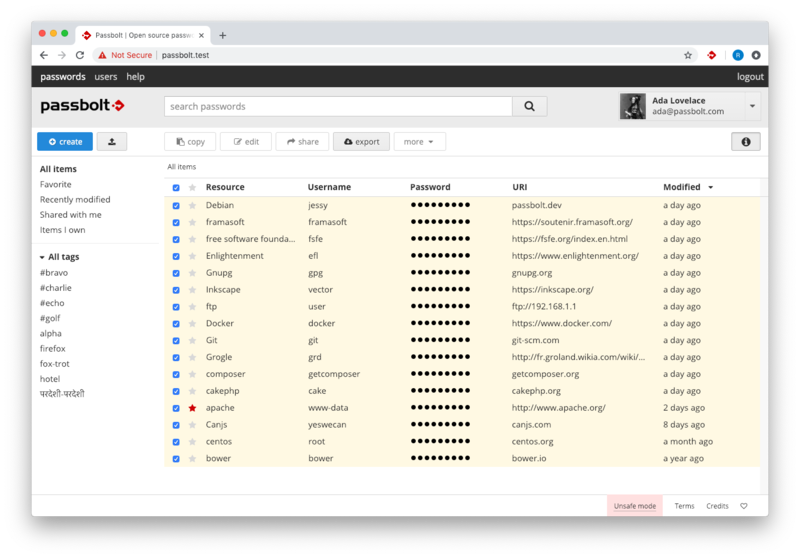 This release also ships with few fixes and some nice improvements, the most notable one being the possibility to select all passwords in a single click to perform bulk operations. A special thanks to this release contributors, who reported bugs or submited pull requests, keep them coming! 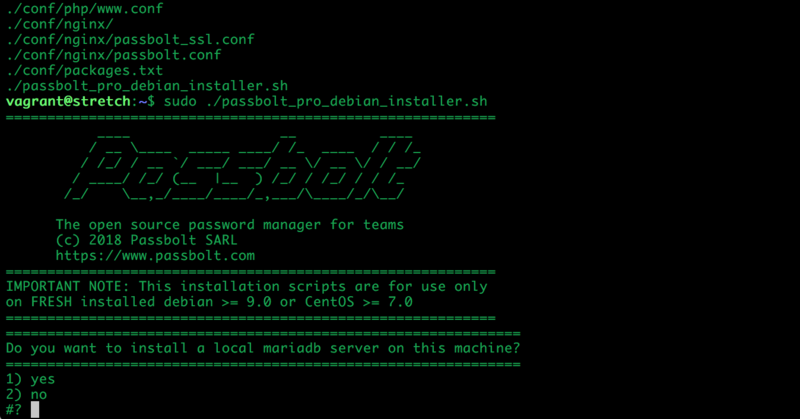 PASSBOLT-2694: As a server administrator I can install Passbolt CE in a few clicks using a web installer. "And I knew there was no turning back"